2019 is going to be an awesome year for new, full price games on Steam. But what does 2019 have in store for the “Free To Play” market as far as new releases go? Here is a short list, in no particular order, of upcoming free games on the Steam Store that you can look forward to this year! The lore behind Nanobotic is base on a future where mankind was destroyed by a “Nanobot experiment gone wrong” allowing for the nanoscopic intelligent robotic-beings to take over Earth. Able to transform reality around them, the nanobots are left with nothing left to do but to battle against each other appearing as “heavily armed robots battling on evershifting battlegrounds.” When a small group of rebellious Nanobots are able to open a “limited bandwidth Wormhole” to the past to contact the Human Race, the limits of the wormhole enables Humans to perceive the future as computer graphics that they are able to control through the likes of a video game, giving the fate of the robotic war to the hands of the Human Race. 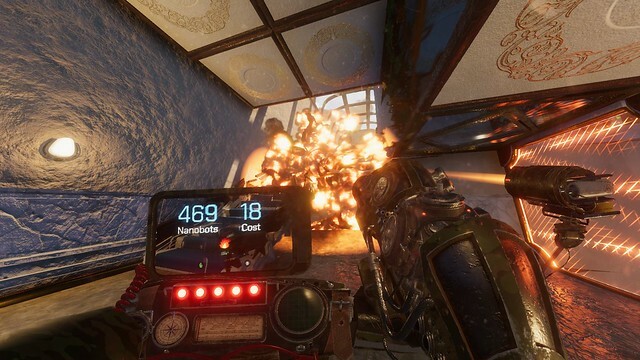 Nanobotic will include “procedurally generated, fully destructible environments” and 120 possible weapon combinations at launch from rockets that heal on impact to remote controlled poison bombs, all crafted with the use of various weapon elements that are created with collected Nanobots in game. Nanobots are collected each time you land a shot on an opponent. The rewarded Nanobots vary depending on the area you hit and the amount of damage inflicted with the shot. Teams consist of five players. The end goal is to destroy the opposing team’s Base Building. To reach the base building, players must clear a path blocked by defending turrets and other players. By defeating players, crafting weapons and A.I. minions, and destroying enemy turrets and minions you will reach the enemy’s base building which once destroyed yields a victory. With a dedicated design team that is heavily influenced by its community and an excellent dedicated server system, Nanobotic truly has great potential to be a fun game that draws in a lot of players this year and I highly recommend you check it out! Genre: Strategy, PVE, Massively Multiplayer. 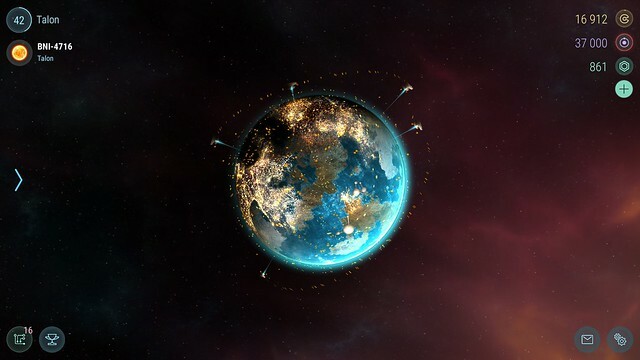 Hades Star is a strategy game that takes place in a shared, multiplayer galaxy and touted as allowing you to create and grow your own space empire over time. With various aspects of Multiplayer PvE and PvP situations, the team at Parallel Space Inc is creating a very interesting experience that could capture the attention of many gamers looking for a fun, simple but in depth space-based strategy game with excellent multiplayer. Take control of your space force within your personal “Yellow Star System” where over time you will discover and colonize new planets, defeat mysterious alien threats, mine resources, establish trade routes, and manage your empire. All the while allowing other players certain privileges within your system to trade, mine, and bolster military agreements. “Red Star Systems” can be scanned once at a certain level to detect collapsing red stars in which 15 minute timers are applied to that online players can access. These cooperative experiences include NPC ships and other online players that you are to team up with to defeat the NPC’s and collect artifacts from the planets in the system to further your empire’s growth. Hades Star has a massive clan system in the form of Corporations, where Players can form large groups and take place in “White Star System” Corporation Battles with up 40v40 scenarios lasting five days allowing for strategic planning between Corporation members with a unique “Time Machine” mechanic that allows to see manipulatable predictions of the battle. Lastly, “Blue Star Systems” are small, five-player free for all battles in which players fight each other and NPC ships in short, five-minute instances that are last man standing situations. These battles yield smaller but worthy rewards to further your Empire’s development. Overall, Hades Star is panning out to be a sound, strategy-based, multiplayer game with a captivating set of features. If you’re looking for something casual yet engaging, this is right up your alley. From the official Steam page, it seems like they plan to add more game types as they list the “Star Types” as “Star Types Discovered So Far” which alludes that there will be more game modes tied to new “Star Types” in the future … So strap in for a long haul with Hades Star and get ready to build your Space Empire sometime this month! Genre: Action, Multiplayer, Shooter, Sci-fi. Galaxy In Turmoil delivers ground to space combat in massive 32vs32 battles in stunning quality while utilizing Unreal Engine 4’s beautiful rendering system. Boasting a never before seen competitive mode, Galaxy in Turmoil has the potential to explode in the “Free To Play” market. Gamers can explore the galaxy, discover exciting missions, and interact with new characters along the way. Attack capital ships in space, battle on land or sea, fight or defend incoming troop dropships in orbit or above ground, or take part in it all. 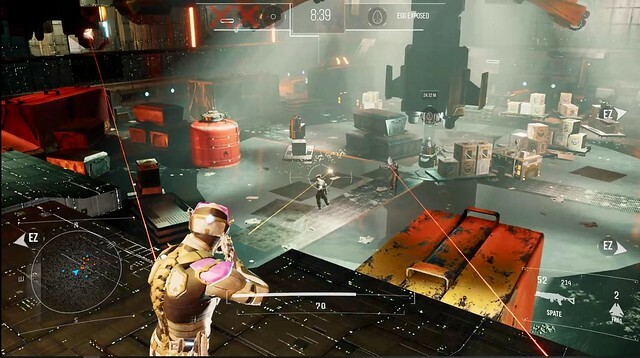 Frontwire Studios plans for massive influence from the community through voting polls on development decisions in game, allowing for a player’s influenced experience. Frontwire Studios claims to be very hard at work to get this title in the hands of gamers as soon as possible with frequent updates posted on the steam page. Most recently, they’re looking for beta testers! Genre: Action, RPG, Multiplayer, Indie. Relic Hunters Legend is a “Fast. Fluid. Fun. Free.” online, cooperative, Looter/Shooter/RPG. 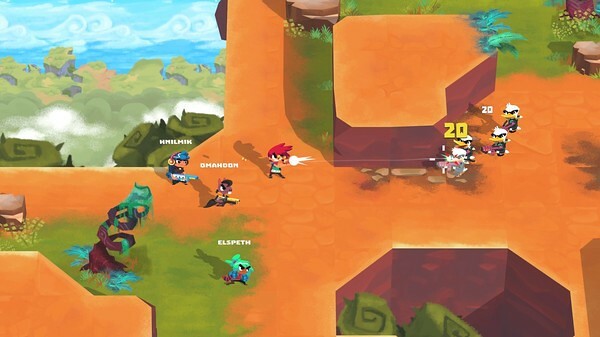 With a beautiful and unique art style, Relic Hunters Legend doesn’t only sound fun to play but also looks like a treat to watch and experience. The game is chalk full of excellent features like a strong story, multiplayer gameplay, deep RPG systems, truly unique “Next-Generation top-down shooter” gameplay and proprietary 2D and 3D mixed visuals. Relic Hunters Legend is going to be something special, not only in the Indie scene but the gaming community in general. It is always easier to appreciate a game when it is not only fun to play but paired with unique aspects and visuals. If Rogue Snails past games; Chroma Squad, Dungeonland, and Relic Hunters Zero are anything to go off of then we are really in for a treat with Relic Hunters Legend so keep your eyes on this one! RAM Pressure is a sci-fi themed, tactical turn based, strategy action game “combining the turn based combat of X-com with a deep, well grounded sci-fii setting” and in depth plot and unique storyline built upon within singleplayer or multiplayer missions. The game’s setting is on an earth hit by a swarm of meteorites that turn out to be the remains of a fleets of alien ships from an ancient galactic war, where the governments of the world aim to keep them secret from the public by sending “Elite Mercenary Squads” to crash sites to obtain alien technology before anyone else does. As the leader of one of these squads, you are tasked with locating, securing, and delivering whatever is to be discovered at these crash sites to your organization’s leaders. Slowly uncover the truth behind your government’s intentions with the alien technology and the future of humanity. 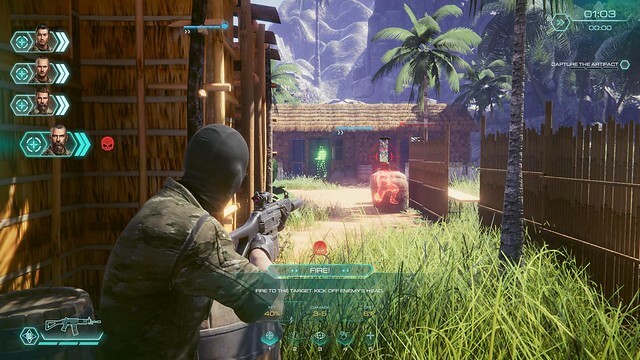 Boasting 12 different classes and 100 different weapon types, build your unique squad to enter into intense multiplayer situations and be pitted in battles against other squads or hostile intelligence services trying to acquire the technology or alien life found at the crash sites in RAM Pressure’s procedurally generated maps with varied weather conditions, with day and night missions.